Watch our official video based on this article! However, there are many Scientists who believe there was a worldwide flood and that Noah was a real person. If there had been a worldwide flood, we would expect to see evidence that the highest mountains were once under water, and so we do. We would expect to see evidence of mass fossil graveyards throughout the earth, with millions of creatures suddenly buried in flood sediments, and so we do. We would expect to have extra biblical accounts of a worldwide flood from other cultures around the world and again, so we do! Most importantly, the Lord Jesus Christ Himself confirmed the historical event of Noah and the flood by repeatedly warning that the end of days, before His glorious return, would in fact be like the days of Noah, before the flood (Matthew 24:37-38, Luke 17:26-30). Aronofsky seems to have no qualms about alienating Christians who might have otherwise been bamboozled to see the film by Paramount’s bogus, biblically based claim. His penchant for repeatedly dropping F-bombs and telling believers how “f**king wrong" they are to expect Noah to be biblical and “I don’t give a f*** about the test scores,” further admitting that “Noah is the LEAST BIBLICAL film ever made," will not go over well with sincere Christians. 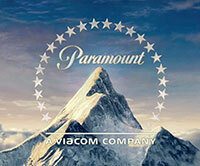 No wonder Paramount posted a “disclaimer” on their website referencing “artistic license,” allowing the movie plenty of unbiblical and diabolical wiggle room. Perhaps it would have been more accurate if Paramount used the disclaimer “narcissistic license,” as Aronofsky appears to be using the movie to tell us more about his own story and his liberal views, rather than God’s version of Noah’s story! Obviously, Aronofsky’s triumphant praise of God’s enemies, “long live the nephilim!” is something no God-fearing man or woman could ever utter. “The Nephilim were on the earth in those days, and also afterward, when the sons of God came in to the daughters of men, and they bore children to them. Those were the mighty men who were of old, men of renown. Then the Lord saw that the wickedness of man was great on the earth, and that every intent of the thoughts of his heart was only evil continually. The Lord was sorry that He had made man on the earth, and He was grieved in His heart. The Lord said, “I will blot out man whom I have created from the face of the land, from man to animals to creeping things and to birds of the sky; for I am sorry that I have made them.”… Noah became the father of three sons: Shem, Ham, and Japheth. Now the earth was corrupt in the sight of God, and the earth was filled with violence. 12 God looked on the earth, and behold, it was corrupt; for all flesh had corrupted their way upon the earth” (Genesis 6:4-7, 10-11). “The wrath of God is being revealed from heaven against all the godlessness and wickedness of people, who suppress the truth by their wickedness, since what may be known about God is plain to them, because God has made it plain to them. For since the creation of the world God’s invisible qualities—his eternal power and divine nature—have been clearly seen, being understood from what has been made, so that people are without excuse. For although they knew God, they neither glorified him as God nor gave thanks to him, but their thinking became futile and their foolish hearts were darkened. Although they claimed to be wise, they became fools and exchanged the glory of the immortal God for images made to look like a mortal human being and birds and animals and reptiles. Therefore God gave them over in the sinful desires of their hearts to sexual impurity for the degrading of their bodies with one another. They exchanged the truth about God for a lie, and worshiped and served created things rather than the Creator—who is forever praised. Amen. Because of this, God gave them over to shameful lusts. Even their women exchanged natural sexual relations for unnatural ones. In the same way the men also abandoned natural relations with women and were inflamed with lust for one another. Men committed shameful acts with other men, and received in themselves the due penalty for their error. Furthermore, just as they did not think it worthwhile to retain the knowledge of God, so God gave them over to a depraved mind, so that they do what ought not to be done. They have become filled with every kind of wickedness, evil, greed and depravity. They are full of envy, murder, strife, deceit and malice. They are gossips, slanderers, God-haters, insolent, arrogant and boastful; they invent ways of doing evil; they disobey their parents; they have no understanding, no fidelity, no love, no mercy. Although they know God’s righteous decree that those who do such things deserve death, they not only continue to do these very things but also approve of those who practice them" (Romans 1:18-32). We see mass creation worship taking place today in the worship of “Gaia” or "Mother Earth," by many of those who are on the far left. In their quest to revive paganism they have largely jettisoned the moral law of God as they seek to institute a global religion based on the worship of creation. The incredible irony is that Aronofsky’s ploy of bait and switch, in making the Noah narrative about environmentalism rather than the consequences of breaking God’s expressed moral law, is encouraging the very conditions that invited God’s wrath, in the form of the flood, in the first place. Moreover, Aronofsky is seducing the biblically illiterate and emboldening environmentalists with a lie, by pretending that God flooded the earth because of over population and environmental concerns. The truth is, human beings need to learn that sin (how we mistreat God and one another) is at the heart of what is wrong with the world and the environment. It was sin against God’s moral edict that turned the beautiful paradise of Eden, which once teemed with vibrant life, into a desert filled with thorns, thistles and death (Genesis 3:1-19). Simply stated, putting God’s creation above God is idolatry and will be the central reason that God will judge planet earth again, at Christ’s Second Coming (Revelation 9:19-21). 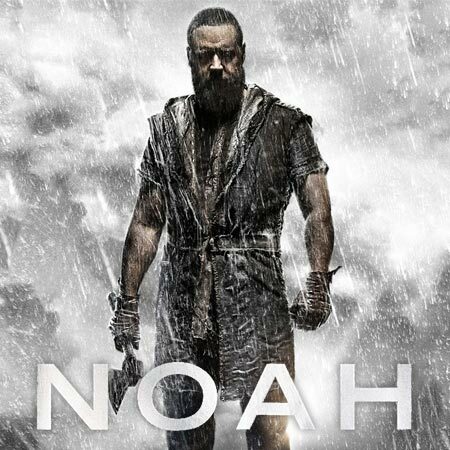 Sadly, we would hope that most Christians would be discerning enough to avoid the money grubbing hands of Hollywood in their handling of something as sacred as the biblical account of Noah. Didn’t Jesus warn us “Do not give what is holy to dogs, and do not throw your pearls before swine, or they will trample them under their feet, and turn and tear you to pieces” (Matthew 7:6)? Unfortunately, some professing Christian leaders and organizations are endorsing the movie, including the National Religious Broadcasters and movie critic Ted Baeher of Movieguide. Ted Baeher said in an interview that he believed that Noah would be "incredibly redemptive" and "God-centered." However, the problem is when “artistic license” cancels out biblical truth and an allegedly “biblically based” movie becomes a two hour infomercial – full of blatant Hollywood propaganda! This is not to discount any of the good that Johnson or Baeher have done in the past, but simply to bring a needed contrarian perspective on the Noah movie. Indeed, top Christian movie critic Ted Baaher (Movieguide.org), dubbed our documentary The Kinsey Syndrome as "…one of the most important productions of the 21st century." 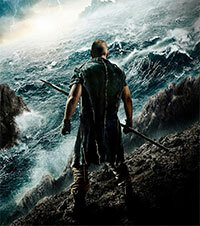 However, because of the nature of deception and the fact that the Noah movie has the potential to adversely influence millions of people (Christians included), I believe it is irresponsible to christen a movie that the director is calling the “least biblical film ever,” as “incredibly redemptive,” and “God centered.” After all, God’s Word warns us “It is a trap for a man to say rashly, ‘It is holy!’ and after the vows to make inquiry” (Proverbs 20:25). Was Noah an Evil Man? 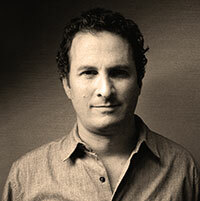 According to Aronofsky, he didn’t want his version of Noah to be based on grandma’s “Bible school." He said, "We wanted to smash expectations of who Noah is." If early screenings of the movie are indicative, it seems that Aronofsky has achieved his goal in substituting his evil, mythological Noah for the historical man of God described in the book of Genesis. “But Noah found favor in the eyes of the Lord…. Noah was a righteous man, blameless in his time; Noah walked with God” (Genesis 6:8-9). Did Noah sit idly by without warning the wicked or caring if they perished? Again, totally untrue! God’s Word tells us that Noah was “a preacher of righteousness” (2 Peter 2:5). Preachers of God’s Word warn people to repent, even when the message isn’t popular, because they care about the lost and are concerned about their eternal destiny. However, like a huge pack of ravenous dogs, consumed by rabies and bent on destruction, the unrepentant wicked in Noah’s time were incorrigibly hell bent on evil, rejecting God’s Word, and thus justly condemned by God in the end. The scripture tells us that God gave humanity 120 years between His warning and the actual flood event (Genesis 6:3). Noah would have to have been an incredibly patient and loving man to preach to the same wicked unrepentant people for 120 years. How many of us would have given up after only 120 days, or even 120 minutes? When God chose Noah, He chose the one man who best represented His own heart and character. Though Noah was not perfect, he was God’s man for the hour.